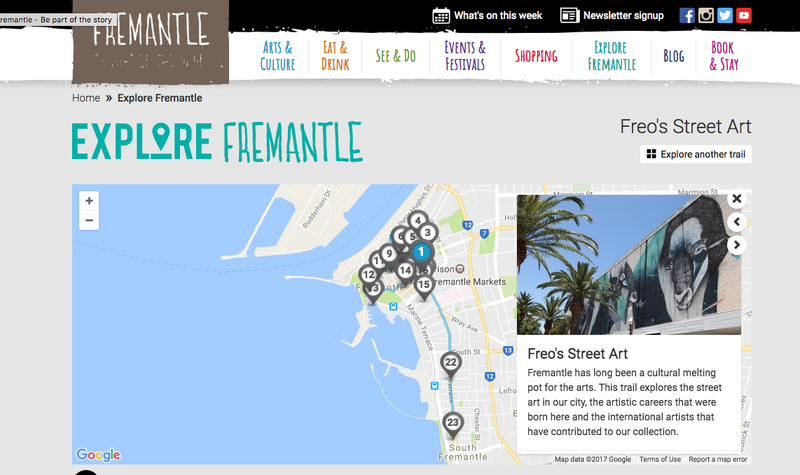 Working with the Fremantle Story team I got the chance to plan, write, and photograph a walking trail around the city centre about Fremantle’s Street art collection. 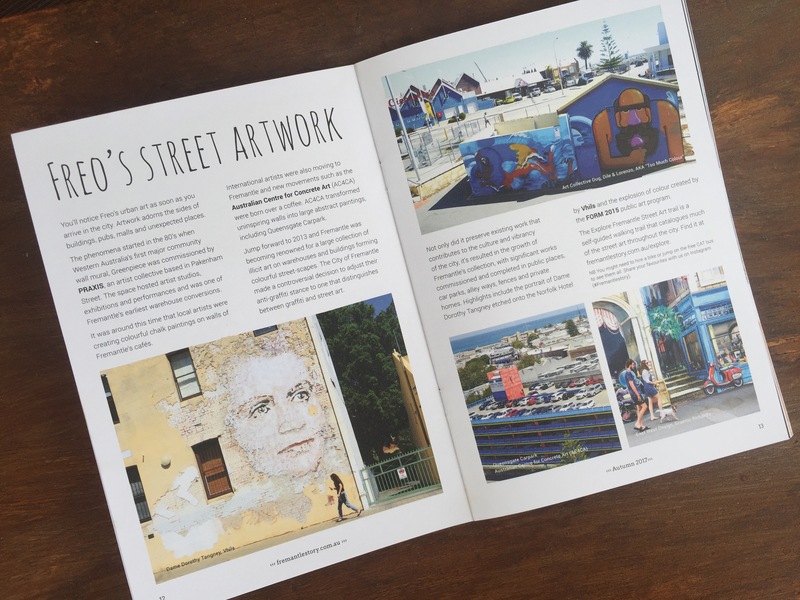 Even got an article published in their Autumn magazine! 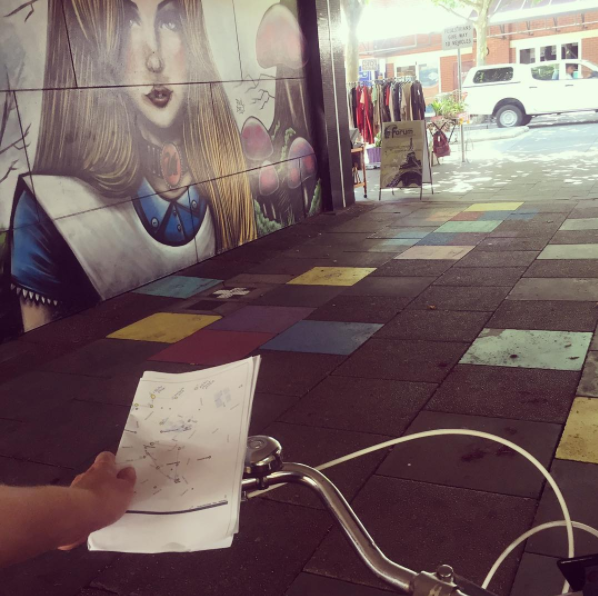 Try out the Explore Fremantle street art trail next time you’re in town.